This refreshing salad is delicious! A total meal in a bowl, but you will also find this to be the perfect salad dressing or dipping – go crazy and try it with sate also! This refreshing salad is a meal in a bowl, so delicious and complete with crunch, salad and protein. In food processor – blend all ingredients, with the exception of the cilantro – taste and adjust for seasonings. I can’t say this enough – every brand of each ingredient is different, and will have a different profile. I start with the ingredient amounts listed above, and then continue to adjust as I taste. When smooth, creamy and you LOVE the taste, blend again with the cilantro. You want to see little bits of the cilantro. When cooking for a crowd, I like to place the salad in one bowl, shredded chicken in another, and the nuts, green onions and bean sprouts in separate bowls. Everybody can create their own, and drizzle the dressing over. 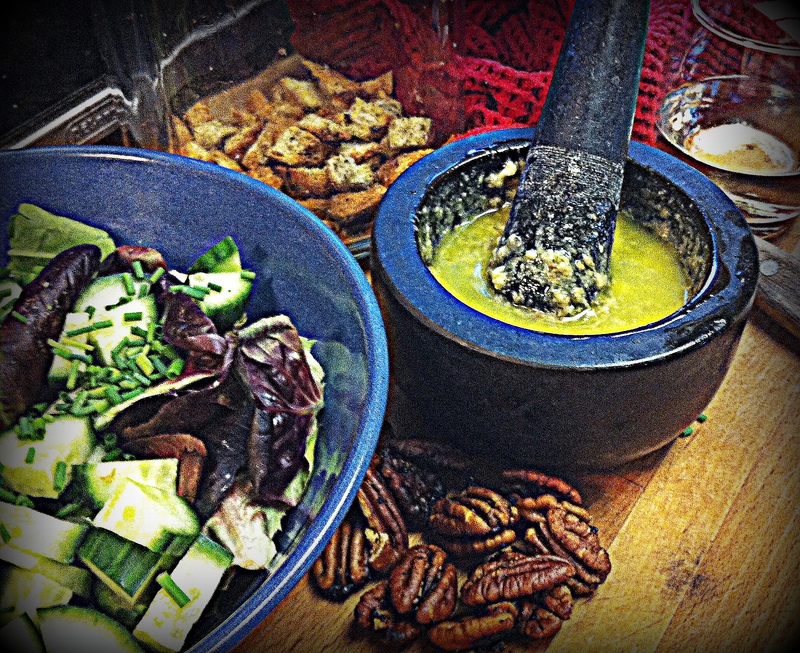 If working with a smaller group, just blend it all and mix the dressing in. 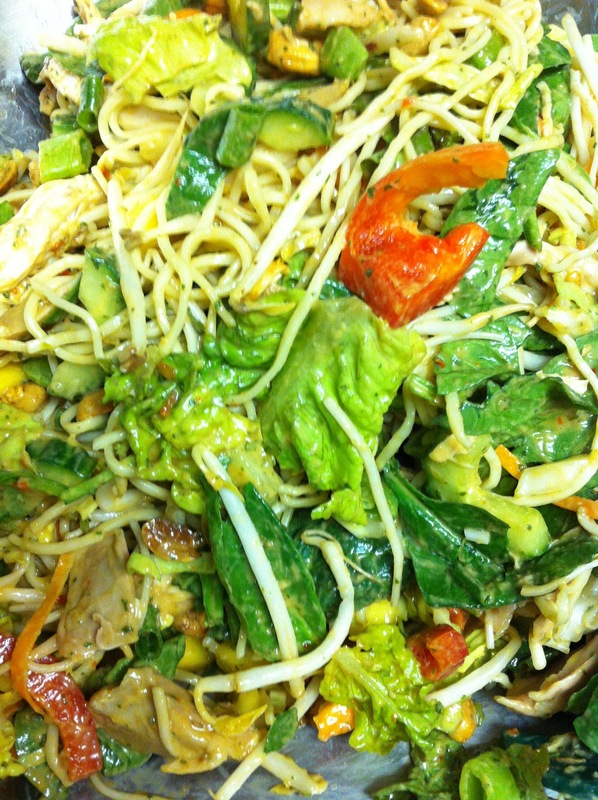 Try serving this with my Thai Chicken Wings, and leave out the chicken from this recipe. 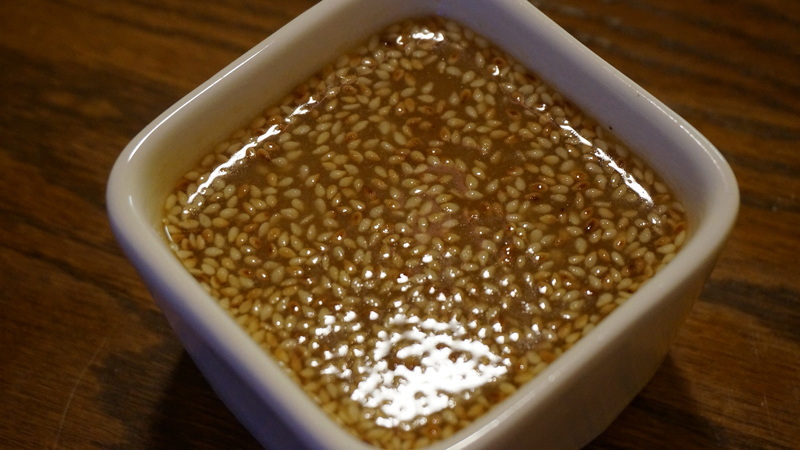 I decided to do a play on Roger Mooking’s cooking show – with an obedient ingredient ….. Miso! Our halibut is marinating in a miso based dressing, and this seemed the perfect accompaniment. Combine all ingredients in a jar, and shake well. Delicious served over steamed vegetables or a bowl of crispy greens. 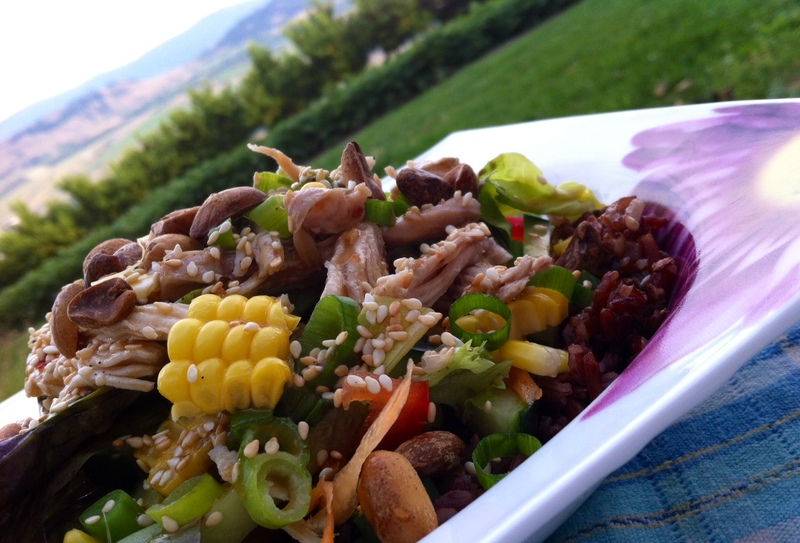 I love salads that make a whole meal – perfect for hot summer nights that let you feel satisfied but not stuffed! Blend all ingredients until smooth – gradually add in 1/4 cup peanut oil until well incorporated. Every brand of these ingredients is different. Start from here and then taste it. I usually take a lettuce leaf and dip it in. If I don’t love it, keep adjusting! It should have a balance of sweet, salty, spicy and tangy …. Ever slice open an avocado to use in a salad and think …. yuck … half of this is disgusting???? That happened to me this week when I really had a craving to add creamy avocado to my salad. After fuming for a moment I decided to turn it into a dressing. 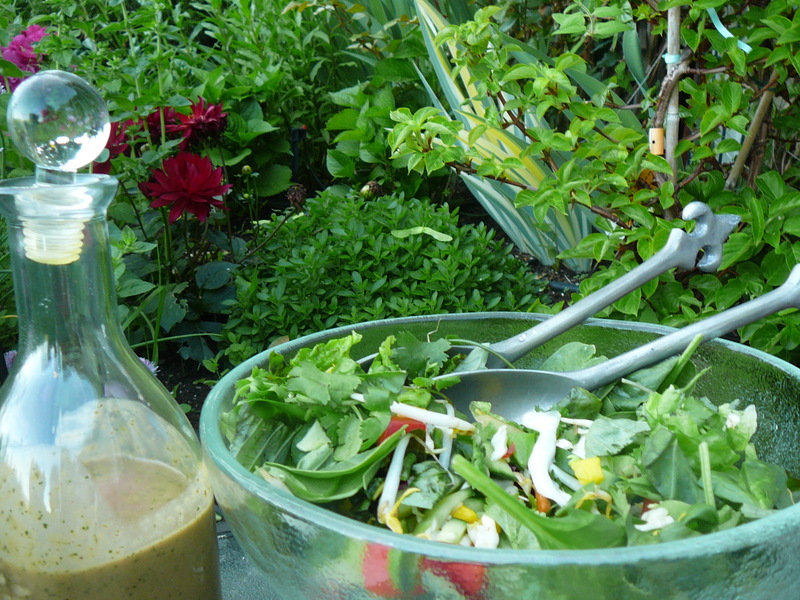 I know I always say to taste taste taste – but it is really important to do that with this dressing – you really want it to pack a punch of flavour into a mouthful. By the time you dilute it with all your salad ingredients you still need to get all that avocado party going on. Taste and adjust for seasonings. If you like it a bit spicy, add a few chili flakes. If you like garlic, add a garlic clove before you really start grinding it with the mortar and pestle. You get the idea – add stuff you really like. And – yes, that is a glass of wine in this photo – everything I make tastes better when I cook with wine!